bioLytical™ Laboratories Inc. based in Richmond, BC, Canada is a privately-owned Canadian Company federally incorporated in 2002. 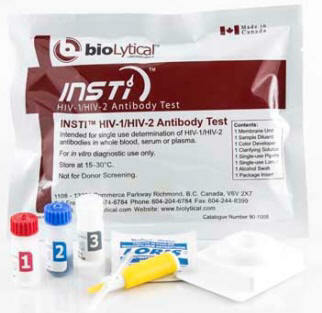 Today, the company sells and markets its INSTI™ rapid diagnostic test product line, including its unique HIV test supported by worldwide regulatory approvals in the US, Canada, European Union and other countries that accept the CE certification. Our product line provides a highly accurate test results in as little as 60 seconds which translates into a compelling value proposition for patients, healthcare professionals, payers and public health organizations. We have an active R&D program and our pipeline includes INSTI™ tests for diseases such as Hepatitis C and Ebola. The company also provides contract services to adapt the INSTI™ platform to meet custom functional and technical diagnostic testing requirements.